Have you ever thought about adding something different to your party but the venue won’t allow confetti? Streamers can be a great alternative to confetti and are easy to pick up after the event. Here at Confetti Magic, we can provide spectacular streamer cannons that will cover your guests with a web of tissue or metallic streamers, even if you have limited space or a low ceiling. 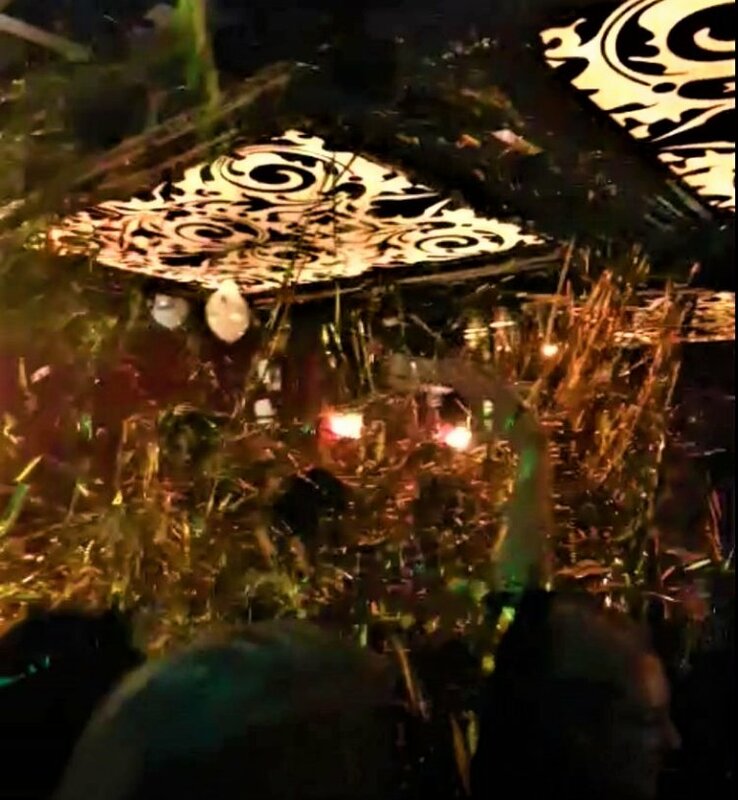 We were recently approached by someone who had seen streamers being fired, in high volumes onto a dancefloor. They wanted to recreate the effect to add fun, surprise element to their own event. We love a challenge so got to work testing our equipment to see which of our cannons would be most suitable to fire the streamers for the best speed and distance. We carried out and filmed a number of tests with a variety of lengths and types of streamers. We sent the footage to our customer for approval and recommended a pair of our Miniflow Confetti Cannons. These are small yet powerful, fan powered cannons which are mounted on a tripod, giving free sideways movement to spray the effect over the dance floor. For this event, a container for each machine was filled with our 5m x 0.85cm metallic gold streamers. When the streamer cannons are switched on, the streamers are sucked up through a hose and blown out of the projection pipe to a distance of approximately 12-15m. The results look amazing, the guests loved it and the venue were delighted that they didn’t have to rush to sweep up confetti before the next event. Follow the link below to see it in action.